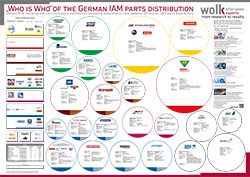 The company profile handbook “Genuine parts wholesalers in Germany” offers a compact overview about the companies which are active in this growing business field of selling OE-/ genuine car-parts (parts with the stamp of the car manufacturer) to IAM workshops. The increasing technology and digitalization of the European car specifications are forcing the IAM workshops more and more to make use of genuine parts for repairing their customer`s cars. Because of this development, it can be said that “car-parts are following the know-how”. The upcoming trend is intensified by the complexity of the actual car models, so that genuine parts wholesalers are getting more and more attention and are gaining in importance and influence. 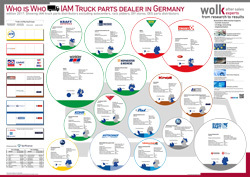 Overview of the genuine parts wholesaler’s business in detail, providing facts and figures as e.g. turnover, capacity, manpower, delivery times, delivery frequency etc. First of all, the market participants are spreading their product range with spare parts. Actually, they are delivering especially captive parts to body paint IAM repairers, by spreading the product range they are able to support all kind of IAM workshops with car-parts. This trend forces the competition with the IAM-distributors. As a further aspect, the market recognized that the companies are developing from “pure distribution” of the goods to “active selling” in order to gain new sales potentials. The increasing challenges of current and future vehicles serve as a multiplier of this development. 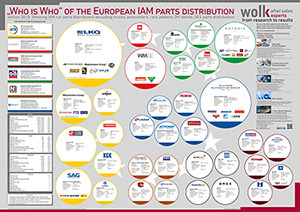 The last aspect is that genuine parts wholesalers are offering more and more IAM car-parts in their product range in on the other hand side also IAM car-parts wholesalers are doing the same step with OE car-parts to cover 100% of the workshops demand. The trend of ordering genuine parts is on top being favored by the intense competition in the area of parts wholesale as a market. 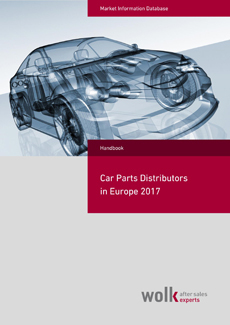 Because of this trend, parts wholesalers have to offer a more or less full range of products to be accepted as a preferred supplier by the independent workshops. The core message of this development is that the success of the market participants in the parts trade business will depend on which additional service (on top to the basic parts logistics) can be offered to the independent workshops. Essential is, for example, the parts identification support, technical know-how and advice for assembly + fitting, calibration and diagnostics support, and the availability of special tools from the car brand. This growing business area and changing market structure was the reason for wolk after sales experts to publish an overview in this complex business segment. A comprehensive market research of the various business players was conducted in 2016. 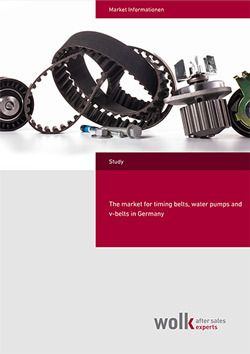 As one result, 39 company profiles are providing detailed information about the market players in terms of turnover, sales regions, brands in charge, details of the car-parts trade business and contact data. Wolk after sales experts has a profound know-how in this business field based on 15 years developing concepts for the OE car-parts trade business. 5 concepts have already been developed and implemented in the market. No, due to copyright reasons it is unfortunately restricted.